Originally built in 1920’s as a semi this 3 unit apartment building is located ½ block east of Victoria Park on a mature street scape in the Centre of the City and the Heart of the “Historic Woodfield Area” . 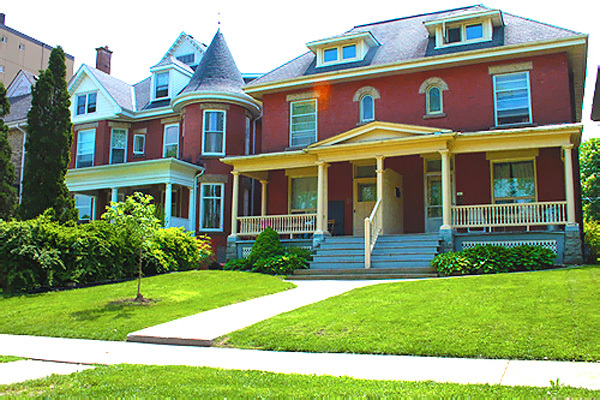 There is a mix of old Victorian homes that have been maintained as single family, while others have been converted to multi-residential apartments and commercial offices. Living in this area you get it all, the energy of the inner city, a quick walk to the City Centre office buildings and entertainment/restaurants of Richmond Row and the continuous activities of Victoria Park. If you enjoy biking, the City bike paths are easily accessed and a City bus stop is within a block of the building. Parking is also offered at a small fee per spot. It is a controlled entry building with two one bedroom and one four bedroom apartment, laundry and a bike storage room is available on site. You can call it Home!